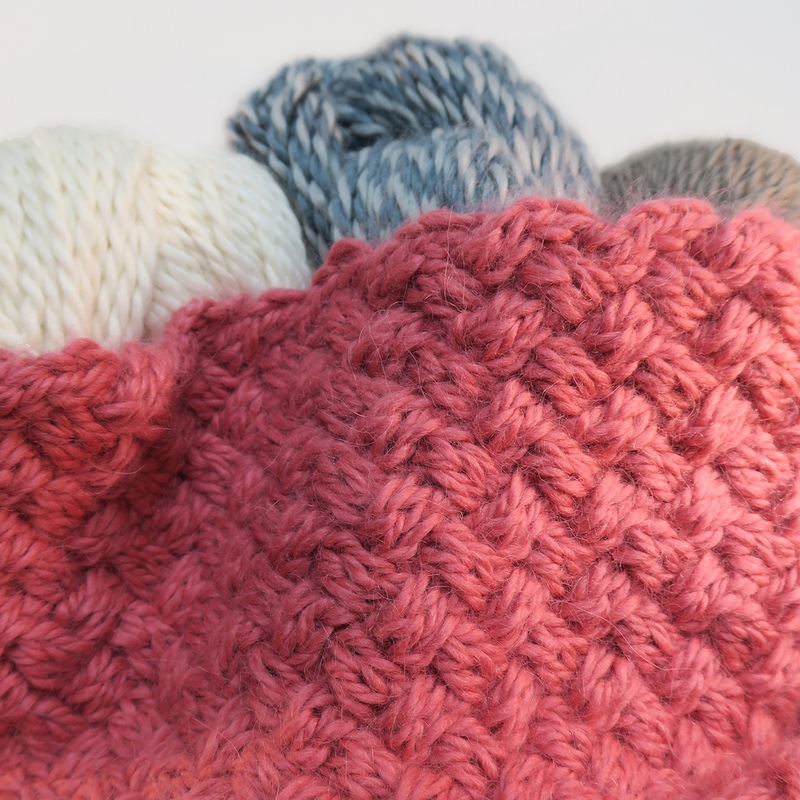 Cabling creates attractive criss-cross patterns in your work that seem to twist your stitches on top of each other. 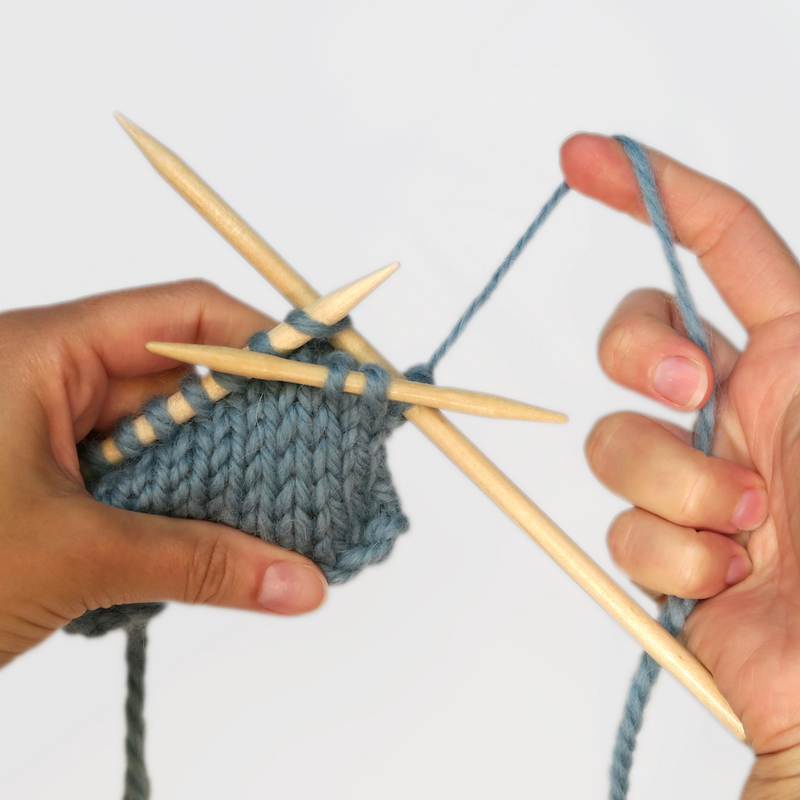 It’s not as tricky as it looks, and involves briefly moving some stitches to a separate cable needle while you knit, that you then knit back into your work. 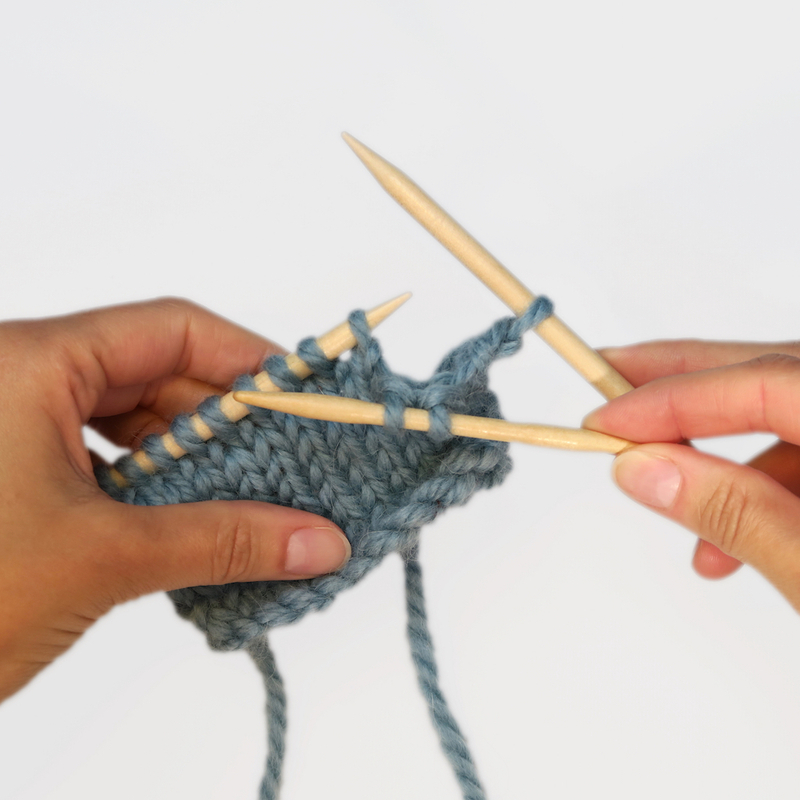 You can learn and conquer this skill in our cable snood kit. Look at our step by step photo instructions below for help with how to cable. 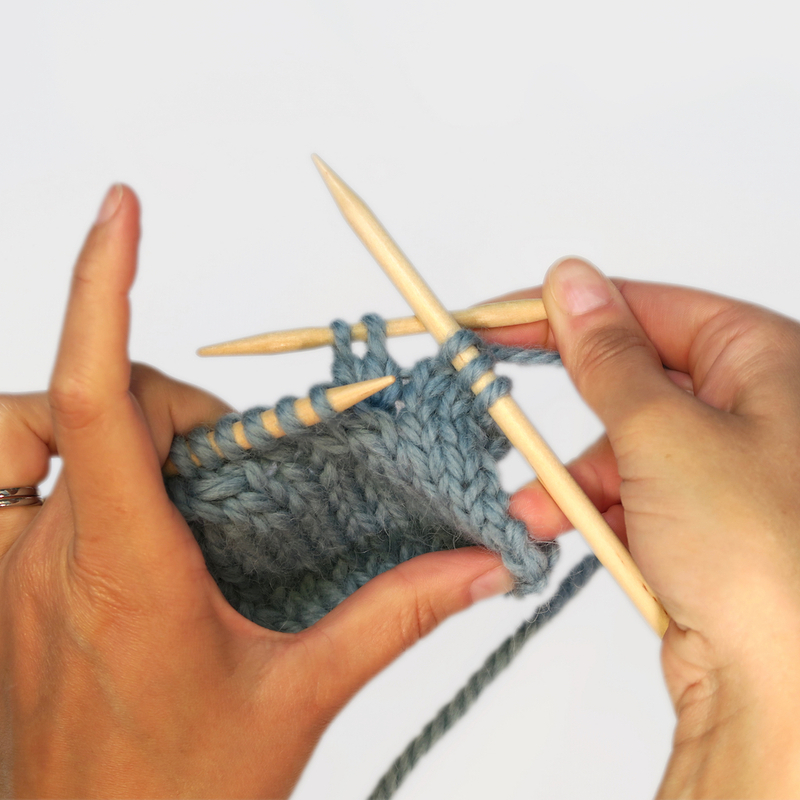 Your pattern will describe the total number of stitches in the cable design: if it says C4F, you slip two on to your cable needle, work (knit or purl) two as normal from the left needle, and then work the two that you reserved. The steps here describe cabling to the front. For cabling to the back (e.g. C4B), you just hold the stitches at the back of the work. This changes the way the pattern twists. These steps show cabling to the front. 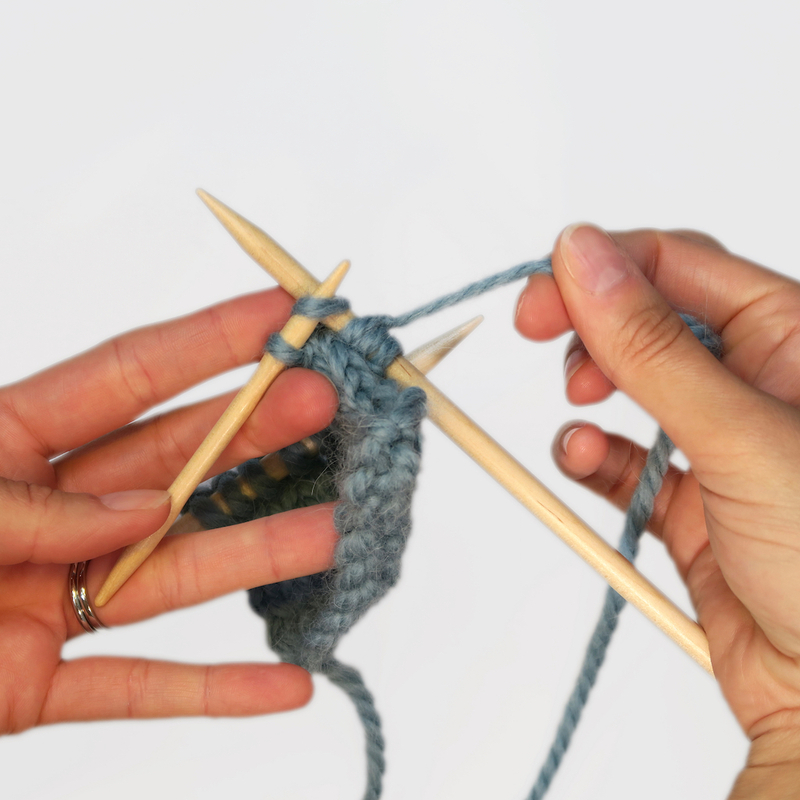 Slip the required stitches on to your cable needle, and hold to the front of your work. E.g. If your pattern says C4F, put 2 stitches on your cable needle. 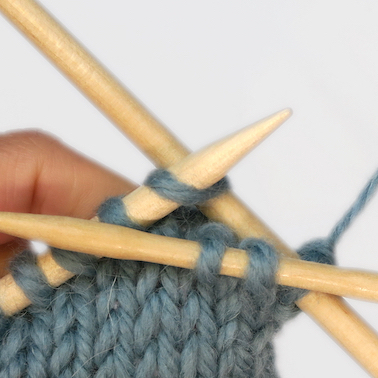 Work (knit or purl) the next stitch(es) in your cable pattern (for our example in Step 1, it’s 2 stitches). Leave your main left needle at the back, and, from the cable needle, work the stitches that you put there earlier. Repeat as required! Cabling introduces the ability to create all sorts of interesting and attractive patterns. It can feel awkward the first time you juggle an extra needle, but persist – it will be worth it!